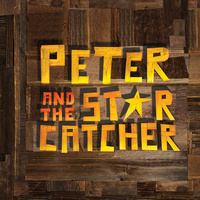 From marauding pirates and jungle tyrants to unwilling comrades and unlikely heroes, Peter and the Starcatcher playfully explores the depths of greed and despair, and the bonds of friendship, duty and love. A young orphan and his mates are shipped off from Victorian England to a distant island ruled by the evil King Zarboff. They know nothing of the mysterious trunk in the captain’s cabin, which contains a precious, otherworldly cargo. At sea, the boys are discovered by a precocious young girl named Molly, a Starcatcher-in-training who realizes that the trunk’s precious cargo is starstuff, a celestial substance so powerful that it must never fall into the wrong hands. When the ship is taken over by pirates – led by the fearsome Black Stache, a villain determined to claim the trunk and its treasure for his own – the journey quickly becomes a thrilling adventure. A Play by Rick Elice, Based on the Novel by Dave Barry & Ridley Pearson, Music by Wayne Barker. Directed by Luke Jorgensen.